Since 1949 the McDonnell Helicopter Engineering Division had attempted to develop a rotor system capable of high-speed operation. 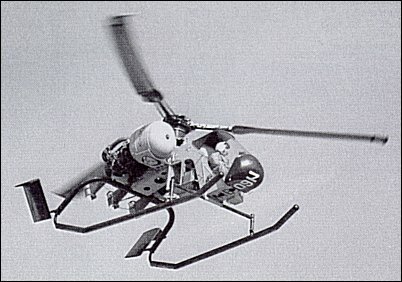 Such a system driven by tip-mounted pressure jets had been successfully tested on the XV-1 convertiplane and its use as a pure helicopter rotor was thought to offer many significant advantages, including (1) inherent angle of attack stability; (2) increased inherent pitch and roll damping; (3) greatly improved dynamic helicopter stability; (4) ability to start and stop in high winds; (5) no need for tracking and no dampers required; (6) no possibility of mechanical instability or ground resonance; (7) very low vibration; (8) low maintenance due to absence of highly loaded bearings, reduction gears, shafting, and anti-torque rotor; and (9) automatic rotor speed control. Accordingly, McDonnell decided in December 1956 to undertake as a private venture the design, development, and testing of a small single-seat crane helicopter using the XV-1 rotor. The mock-up of the Model 120, which was designed by a team led by Project Engineer Lloyd R. Novak, was completed in January 1957, and the first (N6081V) of two prototypes was flown on 13 November of that year by John R. Noll. This helicopter was of simple design, with the pilot seated centrally and the fuel tanks mounted on each side of the upper fuselage beneath the rotor head. Three AiResearch GTC-85-135 gas-turbine compressors, which fed pressure jets at the tips of the three-blade rotor, were located below and behind the rotor head. A wide-spaced skid undercarriage enabled large loads to be slung beneath the centre of gravity, or specialized pods to be fitted to carry up to 12 troops, firefighting equipment, or cargo containers. In spite of some powerplant teething problems, the Model 120 demonstrated a maximum load-to-weight ratio of 1.5:1. Unfortunately, in spite of having been judged 'one of the most outstanding helicopters evaluated to-date in its weight class' when flown at the Naval Air Test Center, NAS Patuxent River, in September 1959, the Model 120 remained experimental as McDonnell failed to win either military or civil orders for this competent design. The termination of this programme in February 1960 marked the end of McDonnell's independent efforts in this field as 13 months earlier the US Marine Corps had terminated the development of the XHCH-1 crane helicopter. 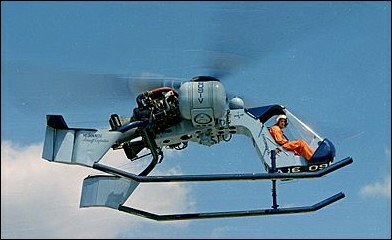 McDonnell Douglas, however, came back to the helicopter field in 1984 with its acquisition of Hughes Helicopters, Inc. I think my father, Willis Cole, worked on this project. He built a model of it. He also acquired the "Big Henry." I have the remaining parts including a side panel with the "N12M" number and instrument panel. firefighting equipment, or cargo containers. Congratulation for the floating hub rotor head! My grandfather was the Project Engineer for this aircraft.